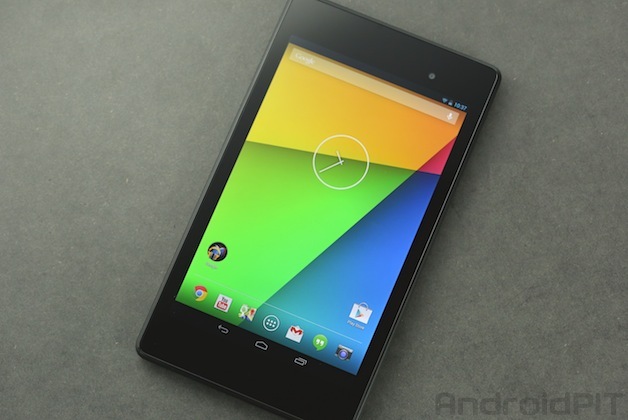 [Update] Fixes Multi-Touch, GPS Issues With Nexus 7 2013 Android 4.3 . The new Nexus 7 (some call it the Nexus 7 2013 or the Nexus 7 2) has proven itself to be an Android-powered tablet that offers plenty of bang for your hard earned buck. Unfortunately, it does have well documented issues and problems concerning the multi-touch display, and thankfully, Google has issued an official fix to the situation by rolling out an Android 4.3 Jelly Bean updatewith build number JSS15Q, and this particular update can be retrieved via Over The Air (OTA). The new Nexus 7 gets an update that fixes its multi-touch display issue at last. I guess with this latest Android 4.3 Jelly Bean update, you can kiss goodbye to the irritating, erratic performance of multi-touch functionality on the new Nexus 7. Do bear in mind that this particular issue only arose after the second OTA JSS15J was installed on the new Nexus 7 (2013). While there is a number of Nexus 7 users (whom we do not know how many exactly) that are going through issues with GPS on their new Nexus 7, it remains to be seen whether Google has already fixed the GPS issues with the same update. Thank you for your patience while we’ve been working on this. As Justin mentioned, there is a new over-the-air update for Nexus 7 rolling out now that addresses the GPS issue discussed here. We look forward to hearing feedback about your GPS experience after you’ve received the update.